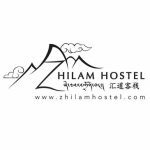 When you check in to Zhilam Hostel, request an additional copy of the “Aliens Registration Form” that you fill out when you arrive. Go to the Exit & Entry Visa Office in Kangding (location is on our local mapof Kangding) and inquire whether or not they are issuing extensions at the moment. If they are not, you will have to make alternative plans and travel elsewhere (Chengdu, Ya’an, Leshan, etc.) If they are, then ask for a Visa Application form and fill it out. Go to a photo shop behind the town square and to the right to get an official, authenticated picture taken. This comes with a certificate of authentication and costs 50 RMB. Return to the visa office and apply in person. They will give you a receipt that can be used temporarily as a travel permit/passport replacement and tell you when to come back to pick up your passport with the new visa. Payment is made at the office using cash or a Chinese bank card. Visa Office Hours are usually 9:00am-12:00pm and 2:30pm-5:00pm Mondays through Friday. Closed for Chinese Holidays, special meetings, etc. It does well to be polite and courteous. The officials are not required to give you a visa. 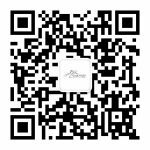 If the previous hotels you have stayed in have failed to hand in the “Alien Registration Forms” to the local police (or the local police have failed to enter it into their systems), then you will have a hard time renewing your visa in Kangding. You need to have been registered a significant amount (??) of times for the authorities here to feel comfortable renewing your visa.